When ESA wanted to test concepts for future Mars roving vehicles they needed a landscape as similar to the surface of Mars as possible. The Atacama Desert at ESO’s Paranal Observatory in northern Chile fitted the bill perfectly. Rovers on Mars cannot be driven directly from Earth — it takes radio signals up to 40 minutes to make the trip to Mars and back. Instead, they are given instructions to carry out autonomously. But current rovers can only move slowly and need frequent updates from Earth. The ESA team is testing concepts that will allow future rovers to travel much further on their own. ESO’s Paranal Observatory acted as host for the rover experiments and provided welcome respite for the team and its equipment during the cold and windy nights. For two weeks the team put the prototype rover, called Seeker, into action within a particularly Mars-like zone not far from the VLT. Like anxious parents, they watched the rover wander carefully across the rugged landscape, maintaining only radio surveillance. Seeker used its stereo vision to map its surroundings, assess how far it had moved and plan its route, taking care to avoid obstacles. Their daily efforts culminated in the final trial, when Seeker was programmed to perform a 6 km loop. It managed 5.1 km, a remarkable achievement for an early prototype under difficult conditions. 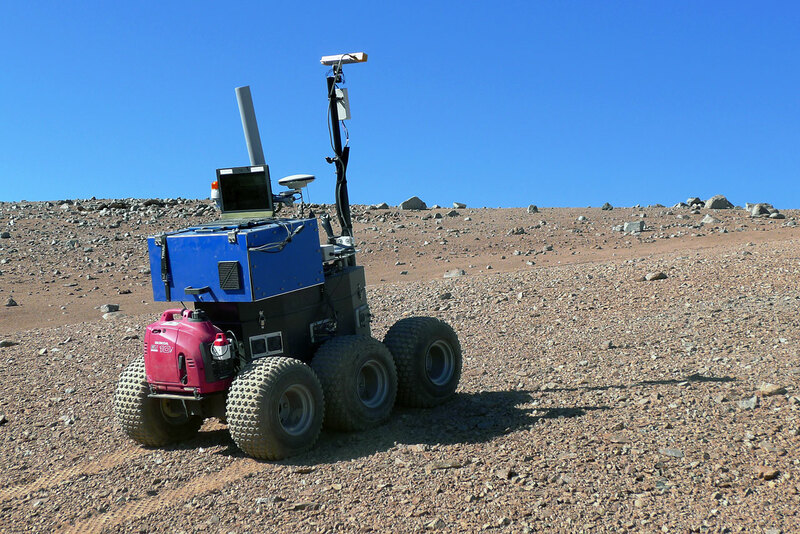 The rover platforms that are being used for Seeker include RoboVolc, a rugged terrestrial rover designed originally for working in volcano craters, provided by BAe Systems (UK). The international team includes RAL Space, SciSys, BAe Systems, Roke Manor, MDA Space & Robotics, LAAS(F) and Oxford University. Seeker is a StarTiger campaign being conducted in offices and a robotics laboratory at the Rutherford Appleton Laboratory, also in the UK.